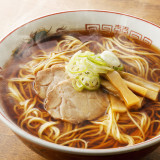 Mention flowers, and the image of sakura (cherry blossoms) comes readily to mind. Such is the popularity of sakura such that it is as synonymous as spring in Japan. However, do you know that there is another flower known as fuji (wisteria) that captivates one and all with its mesmerising radiance in spring? 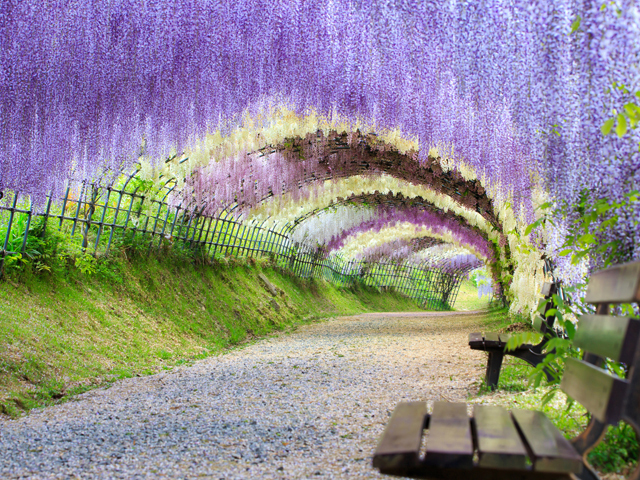 Wisteria blooms in such large numbers that spectacular wisteria tunnels are often formed, thus making visitors feel as if they are in a magical land. The following lists various prime spots where you can behold stunning wisterias in all their glory, so don’t miss out! A fan of James Cameron’s iconic movie, “Avatar”? Thanks to Ashikaga Flower Park in Tochigi Prefecture, you don’t have to picture the splendour of the vivid mystical land featured in “Avatar” in your imagination! Not just popular among domestic tourists, Ashikaga Flower Park is no stranger to prestigious accolades. Case in point: CNN nominated this park as one of the world’s top ten dream destinations in 2014! Flaunting blue, white, and pink wisterias, it has three huge wisteria trellises that extend for more than 1,000 square metres! You can literally immerse yourself in a whimsical wisteria land and have your worries soar away! 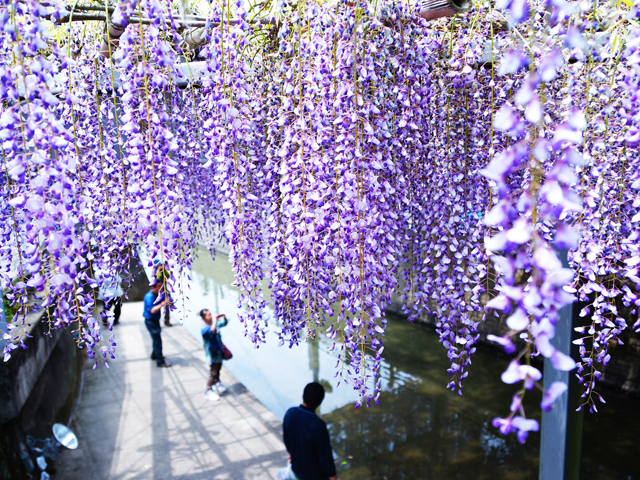 Also make a beeline to take a selfie with the legendary 100-year-old wisteria tree, so huge that supports have to be mounted to steady its heavy branches of blue wisteria flowers. 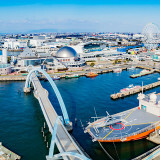 Flowers are usually in full bloom in the beginning of May. -Budget: Admission fees vary depending on the event and condition of the flowers. 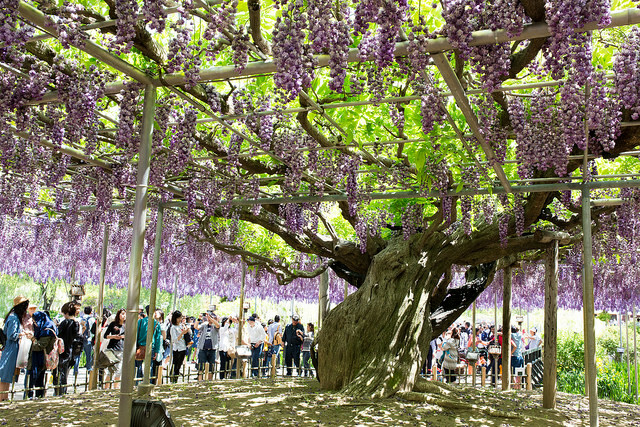 If you plan to be in Kyushu during late April, you are in for a visual treat, as far as wisterias are concerned. Situated in Kitakyushu, the northern part of Fukuoka Prefecture, Kawachi Fuji Gardens definitely makes it worth your while as it has about 150 trees that boasts an impressive range of 22 species that are of myriad colors like white, blue, purple, pink and violet-blue. 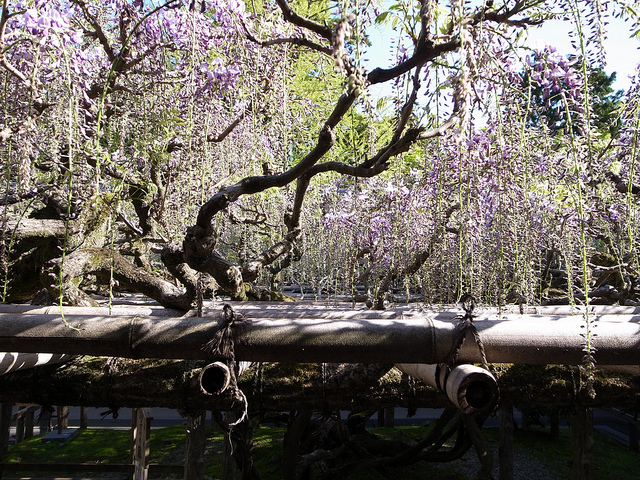 Here, you can find the yae-fuji, a kind of wisteria that has more petals than the typical ones. Not only that, you can take in the spellbinding beauty of wisterias in various ways: by taking a stroll along a long wisteria tunnel, by being enveloped by them under a large wisteria dome, and by getting up close with them at trellises. Just imagine the varied shots of wisterias you will be able to take in this wonderland! Want to see wisterias out in the wild? 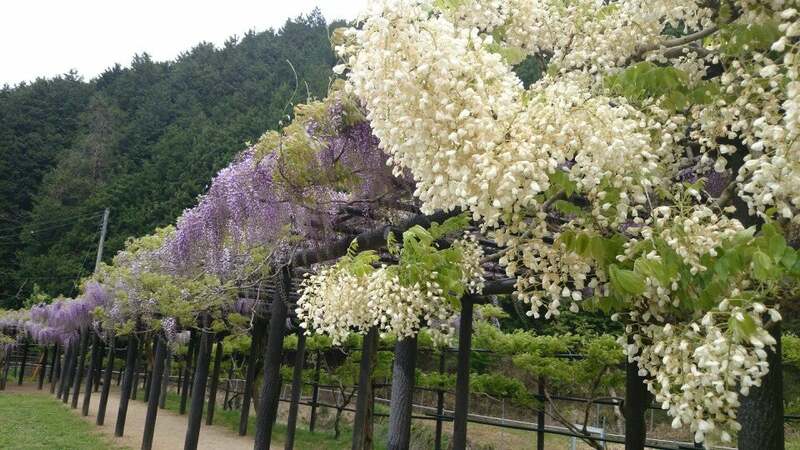 Then you should visit the Shirai Omachi Fuji Park in Hyogo Prefecture as the wisterias here are framed against majestic mountains in vivid shades of green. This sublime juxtaposition of pink wisterias and green mountains will surely make you feel that your worries are rather insignificant compared to the colossal scale of such beauty! The trellis here is extensive, amounting to about 500 metres long and 4 metres wide. So you can spend a leisurely couple of hours and lose yourself in the tender embrace of Mother Nature. Pay a repeat visit in the evening and be stunned how the tranquil atmosphere is enhanced with soothing background music and well-positioned, well-illuminated lights. -Open Hours / Closed Day: 8 a.m. to 6 p.m.
Nara Prefecture, home to the ancient capital of Fujiwara, evokes an old-world atmosphere that will charm you, and what better way to soak up its refined aura than to visit Kasuga Taisha Shrine when wisterias are in bloom? The shrine of the once-powerful Fujiwara clan, it is Nara’s most iconic shrine as it boasts 1,000 bronze hanging lanterns in the main precinct, a feature that is rarely seen in many other shrines. Come late April, the wisterias will blossom, enlivening the shrine up with a bright dose of pink and white. 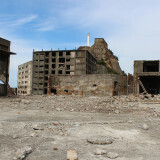 Exemplifying how a place of interest can be historical as it can be beautiful, this is one World Heritage-listed site you would not want to miss! Wisterias may be less well-known compared to sakura, but they are certainly no less attractive. 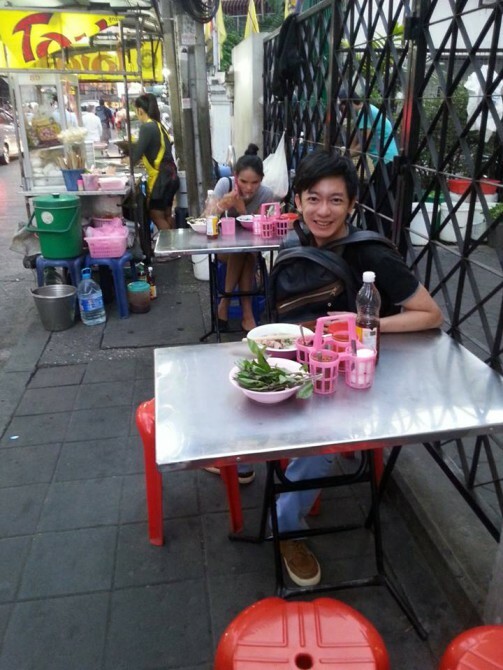 Depending on where they are found, they can evoke different kinds of vibes, thus enabling you to feel like you are transported to a fairy tale setting. So instead of planning for a hanami (sakura viewing) trip, why not aim instead for a wisteria appreciation trip? 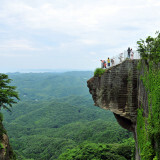 You are bound to embark on a journey of awe as you busk in Mother Nature’s glory!